Like any business owner, you need to avoid certain pitfalls. Otherwise, your business will be too vulnerable to threats that could easily kill your startup. Connecticut Business Centers gives some tips on eliminating various startup threats and killers. Starting a business is overwhelming, and this could confuse you in prioritizing your tasks. Meeting with investors and potential clients may take most your time when the most important thing you should be paying attention to is your product. Your business will not succeed if you do not have a fully developed product, regardless of how wide your network is. Avoid getting distracted by tasks you can do later. Let someone else do simple tasks such as taking calls and setting up meetings. 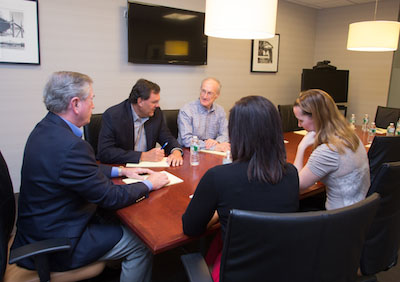 Connecticut Business Centers, which provides a conducive office space in Stamford, CT, has a team of staff that can help you with simple tasks. This way, you can focus more on developing your product. Businesses can fall apart due to disagreements and differences between partners. You need a partner who shares your vision and values. Find someone who has the same level of commitment and passion in the business. This is the only way to establish genuine trust and reliability between you and your business partner. Allotting your money to necessary work and equipment only will help you start your business right. Many entrepreneurs mistakenly let costs go out of control, resulting in their downfall. If you do not have enough budget to set up your own workspace yet, you can rent an affordable Connecticut office space Connecticut Business Centers can help you by providing you a conducive office space, conference room, or any other business solutions you may need. Building a business is a rollercoaster ride. Sometimes, you will be on top and other times you may find yourself at the bottom. Many budding entrepreneurs quit because they could not handle the dynamic world of business. To see your vision through, prepare yourself for different rejections, challenges, and even triumphs. Enjoying every bit of it and handling all the stress well will get you through. Starting a business is not going to be easy. Nevertheless, as long as you keep these things in mind, you have a higher chance of avoiding startup threats and killers. In addition, you need someone to help you with your office and business needs so that you can focus on what is important. To let us know how we may help you, call us at (203) 359-5600.